Our guest this week is celebrity stylist, TV personality, and CEO of her own lifestyle brand, Ashley North. 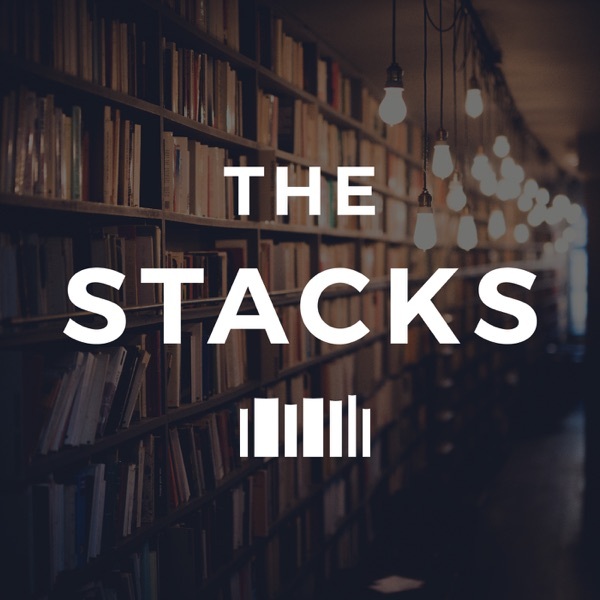 Ashley is most well known for being Kevin Hart's stylist and now she's sitting down with The Stacks to discuss reading. She talks about the not so glamorous parts of being a stylist, her daughters' love of books, and diversity in school reading curriculum. We cover a lot of topics this week, and its all down there in the show notes. Use the links below when you shop on Amazon and iTunes to help support The Stacks. BOOKS Year of Yes by Shonda Rhimes Justin Bieber: Just Getting Started by Justin Bieber I Can't Make This Up by Kevin Hart The Last Black Unicorn by Tiffany Haddish Charlotte's Web by E.B. White Blood in the Water by Heather Ann Thompson On Becoming Baby Wise by Robert Bucknam M.D. The Coldest Winter Ever by Sister Souljah Animal Farm by George Orwell How to Get Sh*t Done by Erin Falconer The Confident Woman Devotional by Joyce Meyer A Thousand Lives by Julia Scheeres Stuck by Jennie Allen Invisible Man by Ralph Ellison The Saddle Club Series by Bonnie Bryant Dreams from My Father by Barack Obama The Audacity of Hope by Barack Obama Sweet Valley High by Francine Pascal Babysitter's Club Series by Ann M. Martin Their Eyes Were Watching God by Zora Neale Hurston The Autobiography of Malcolm X by Malcolm X and Alex Haley I Know Why the Caged Bird Sings by Maya Angelou The Joy Luck Club by Amy Tan The Bluest Eye by Toni Morrison Beloved by Toni Morrison Sula by Toni Morrison Fifty Shades of Grey Series by E.L. James Becoming by Michelle Obama EVERYTHING ELSE Justin Bieber (in purple hoodie) Kevin Hart Soul Plane (MGM) Chris Brown "Golden Globes 2016: The 10 Best-Dressed Dudes" (The Staff, The Hollywood Reporter) Terrence J Drake Chadwick Boseman (at Met Gala) "Who Dresses 'Black Panther' Stars Chadwick Boseman and Michael B. Jordan: 7 Top Hollywood Men's Stylist" (Carol McColgin, The Hollywood Reporter) "Inside Hollywood Reporter's and Jimmy Choo's Power Stylists Event With Chadwick Boseman, Gwyneth Paltrow, the Fanning Sisters and More" (Jane Carlson & Ramona Saviss, The Hollywood Reporter) Becca Tobin Eddie Murphy Ludacris Chingy Tracee Ellis Ross Tiffany Haddish Girls Trip (Universal Pictures) Keep It (Crooked Media) AN Style Candles (Traci's Favorite Candle) The Joy Luck Club (Buena Vista Pictures) Connect with Ashley: Instagram|Ashley North Style|Shop AN Style Connect with The Stacks: Instagram|Facebook|Twitter|Goodreads|Traci’s Instagram|iTunes|The Stacks Website|Patreon To contribute to The Stacks, join The Stacks Pack, and get exclusive perks, check out our Patreon page. We are beyond grateful for anything you’re able to give to support the production of this show. If you prefer to do a one time contribution go to paypal.me/thestackspod. Sponsors Audible- to get your FREE audiobook download and FREE 30 day trial go to audibletrial.com/thestacks. Hidrate Spark - for 10% your purchase at hidratespark.com use code TRACI10 (valid through 7/31). The Stacks participates in affiliate programs in which we receive a small commission when products are purchased through some links on this website. This does not effect my opinions on books and products. For more information click here.